I'm conflicted every year on this day. On one hand, I like contemplating what You accomplished on this day. On the other, I'd like to skip over it to Easter morning. 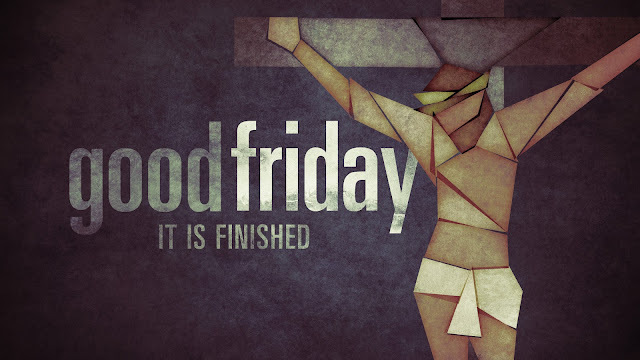 I know, though, that there'd be no Easter without this day, so I need to consider--try to feel--what my part was in Your crucifixion. I like to think of myself as not all that sinful. As soon as I entertain that notion, I'm deceiving myself and in need of another rehearsing of my Lenten prayer. The truth, even if I can't get in touch with all the feels, is that I am sinful. I was sinful in my mother's womb, sinful from the day I first drew breath, doomed like all mankind from the moment Eve and Adam bit into that apple. Yet it's not just inherited. I have willfully done what I knew was wrong. I still do. I have gone my own way. In spite of what I knew, I chose. Mine was just one of billions of decisions like that which made your death necessary. Forgive me for being so flippant. It's hard for me because for as long as I've been aware of my sin, I've been aware of Your offer of salvation. I accepted it on its face as soon as my mind would allow me to comprehend the gift. Having accepted it so young, though, is like getting a gift from someone that I didn't fully understand how desperately I needed it. It's hard to be appropriately grateful because I don't know exactly what I've been saved from. I mean, I know the affects of my sin. But the suffering I've witnessed others experience because of their sinful decisions has not been my experience. Not that I'm any better. I'm not. All sin is equal in Your eyes. But You said when you were here with us that those who have been forgiven much, love much, while those who have been forgiven little, love little (Luke 7:47). I feel like I fall in the latter category because I can't fully grasp the depth of my depravity, the immensity of my sin. Still, I want to push through the intellectual assent that affords me the level of detachment and try to express the gratefulness I want to feel. Lord Jesus, I deserved eternal separation and days without peace filled with endless struggle. I deserved torment from the enemy as he led me about by the nose, thoroughly deceived and damned. I deserved never to experience supernatural, unconditional love but only its earthly facsimile and broken relationships. I have a restored, right relationship with the omnipotent, omniscient, and omnipresent God of the universe and a secure eternal destiny. I have the hope, the assurance of heaven and the knowledge that this life is not all there is. I have peace in the midst of circumstances that surpasses understanding. I have protection from and victory over the enemy of my soul because the Way, the Truth, and the Life was made known to me, and I've been set free from sin and all its eternal consequences. I have experienced unconditional love that will never fail and can offer that love to those you've placed in my life. For all that and more, I say, hallelujah, what a Savior! As I lay on the table, I asked Emily, my massage therapist, if it was just my imagination, or were there less knots in my shoulders than last time I was there. Last month, I shared how uncertain I was about participating in Lent. 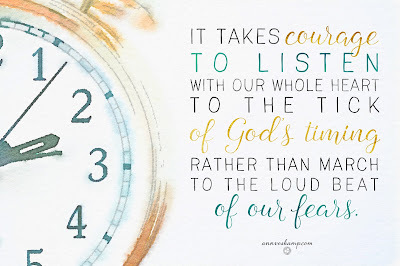 I was scared to listen to what God wanted to tell me, but too desperate not to. I wasn't really sure He'd speak to me. In fact, I was pretty sure He wouldn't. You can imagine my surprise, then, when I began to hear things. First, He told me to lower my shoulders. They were residing by my ears, and I was a hot mess of anxiety. 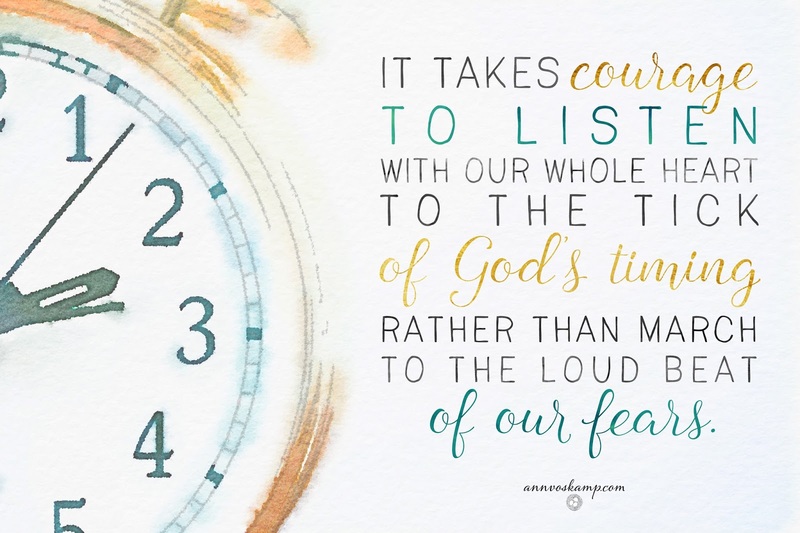 The words "be still and rest" came to me over and over before I could accept that I was hearing correctly. Still, I squirmed with fear at the idea. Second, He told me to lower my standards. Turns out, I'm harder on myself than God is. While I wrung my hands, wondering if I was measuring up and doing it right, He reminded me that I don't have to fear being examined. I am accepted. Third, He told me to lower my shame. I cringed at what I imagined God would show me when I invited Him--every single day for 40 days--to "see if there is any wicked way in me and lead me in the way everlasting." While He did show me myself, God didn't open my eyes to my self-preserving behavior to give me the full picture of His condemnation. Instead, He gently and lovingly revealed my worth in spite of my sin and guided me to seek forgiveness of Him and of others. It has been freeing to see myself as I truly am. As I've prayed the same words day after day, slowly--ever so slowly--I'm realizing that what looked like something I initiated was really a response to His relentless pursuit. God initiates relationship. With me, with you, with everyone. Are you scared or desperate? I hope my experience will help you see that you don't have to be either. God knows your heart and wants to lead you in the way everlasting. Trust Him.